Creating custom made channel letters is our specialty at Mid-State Signs. We’ve invested in state of art equipment specifically designed for speed and efficiency in the production of Channel Letters. Our equipment includes an ACCU-BEND Channel Letter Bender, ACCU-FORM Face Former and ACCU-CLINCH Clinching Machine. This equipment allows us to create high quality Channel Letters and custom shaped logo boxes in a fraction of the time that conventional methods would take. Mid-State Signs uses the latest technology in LED lighting, ballasts and electrical components to ensure long lasting lighting efficiency. Our products are fully UL Certified meeting the standards and certifications of today’s marketplace. 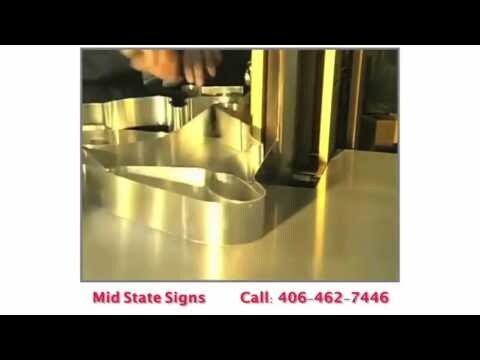 From lettering to logo boxes and raceways, let Mid-State Signs be your Channel Letter Solution. Click on the image to the right to view our informational video.